The toll of the First World War on human life meant that many important medical advances were made during this time. It was the first time in history that mortality from battle injuries exceeded deaths from disease. With the Government’s focus on numbers and recruitment, the object of treatment was to get men back to the front line as quickly as possible. Throughout the war medical care was the responsibility of the Royal Army Medical Corps. 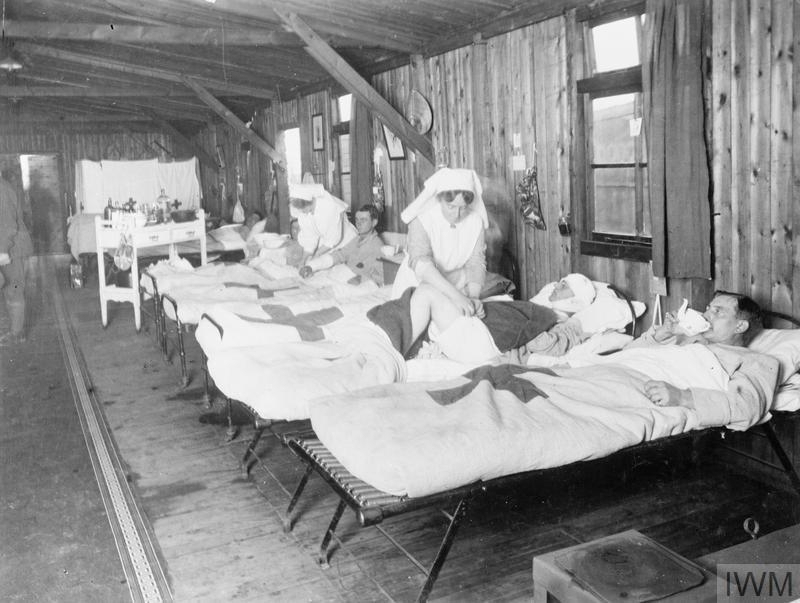 Casualty Clearing Stations were the first major point of call for injured soldiers. Here injuries could be assessed using the triage system of treatment. 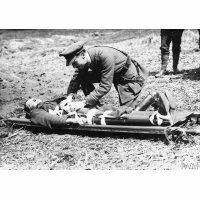 Although not entirely new, this system categorised casualties and prioritised treatment and the First World War saw it used on a widespread basis. Serious injuries often lead to soldier being moved to permanent base hospitals. At any one time these hospitals would house around 300 members of staff and could be tasked with caring for as many as 2,500 patients. The injuries sustained by new weaponry, such as land mines and gas attacks, lead to new developments in treatment. 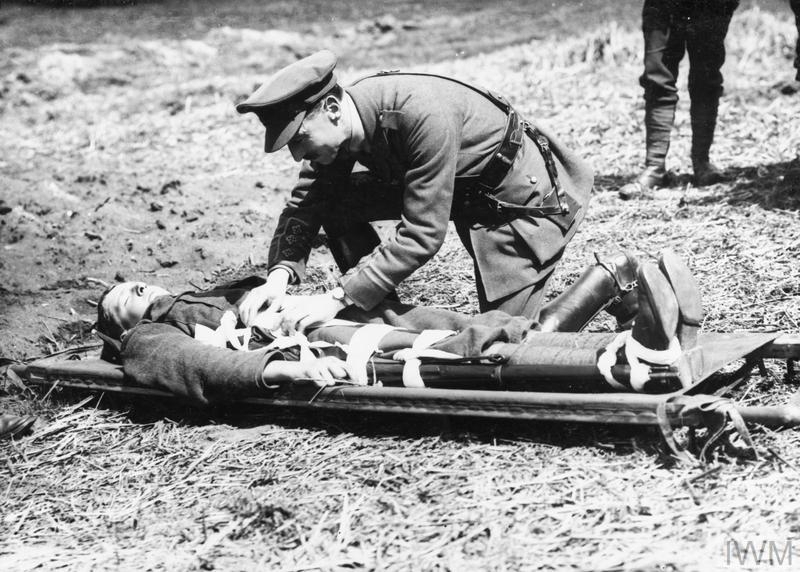 The use of splints dramatically increased the life expectancy of soldiers with fractures whilst the new techniques of applying an antiseptic solution directly to wounds helped prevent infection. 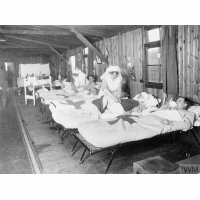 Although men could often be treated for their injuries in the casualty clearing stations or field hospitals, some were treated back home where specialised hospitals were set up. One such hospital, established in 1917, was The Queen’s Hospital in Kent. Here soldiers who suffered severe facial injuries could be treated and in some cases undergo cosmetic surgery using plates. It must be said that not all advancements during the First World War lead to effective understanding or treatment. Although psychological trauma suffered by servicemen, commonly known as ‘shell shock’, was not new this was the first time the condition was widely recognised. It was thought the cause was physical damage from explosions. The War Office viewed the condition with suspicion, believing some used it as an excuse to leave the trenches. This lack of understanding as well as the variation of treatments meant many soldiers continued to suffer from its effects years after coming home. The legacy of this is still felt today as over the last century the awareness of the psychological effects of war has grown, with mental health professionals now forming a specialised part of the armed force’s medical service.